In order to understand Australian online casino betting laws, we need to talk about the Australian Internet gambling wagering regulations introduced by the John Howard government in 2001 – the Interactive Gambling Act (IGA). These forms of gambling have also been adapted to the mobile, tablet and Smart TV platforms, which come with their own sets of rules, too. So big has the betting landscape grown, that according to the UK Gambling Commission, the gambling industry achieved a turnover of $163,879,419,961 AUD in 2007 (that’s 163 billion dollars). The IGA of 2001 was developed to specifically target online gambling operators, as opposed to those who accessed online betting websites. It made it illegal for such operators to offer and advertise ‘real money’ online interactive gambling services to Australian residents. The law applies to all interactive gambling operators, both Australian-based and internationally-based. Online casino games such as roulette, blackjack, pokies and baccarat. 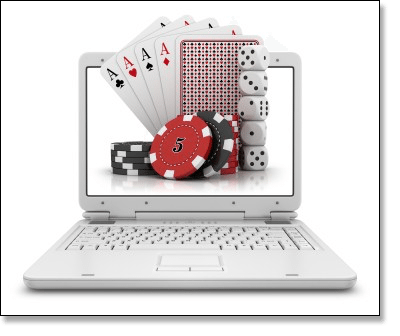 Internet poker games such as Texas hold’em, Omaha, 7 card stud, razz, HORSE and other poker variants in cash game and tournament format (played against other players as opposed to the casino). Instant scratch card games available on the Internet. Live (in-play) online sports betting. The Act however, does not make it illegal for Australian operators to offer their services to residents living outside of Australia, where online interactive gaming is a permitted practice. But most importantly, the Act does not target individuals who wish to access iGambling services – Australian residents cannot be punished for gambling on the Internet. Considering how engrained gambling is in Australian culture, that’s a good thing. Additionally, because almost all real money gaming operators are based outside of Australian borders as offshore casino websites, these companies are happy to offer their regulated services to the Australian public, without fear of being prosecuted, even though the are inƒ violation of the IGA. Never has there been an attempt by the Australian government to thwart these companies from marketing and providing their gambling services to Australian citizens (largely because such companies remain outside of the Australian government’s jurisdiction). As long as these licensed and trustworthy offshore companies continue to provide high quality real money casino games in AUD currency, Australian gamblers need not have any qualms about accessing them. Interactive community bingo has become increasingly popular over the last decade or so, and dedicated Australian sites such as Bingo Australia and Aussie Dollar Bingo do a great job in providing some entertaining and involved real money games to hundreds of thousands of players who enjoy the great Aussie pastime that we call housie. Other sites such as True Blue Bingo, Kitty Bingo and Lucky Pants Bingo also offer their housie games to Australians, along with other mini-titles such as pokies, blackjack and video poker. Again, this form of Internet gaming is considered ‘interactive’, yet is also not policed at all. As most Australians would be aware, betting on sports over the Internet has remained a legal and highly-advertised practice. So why has the Internet sports betting industry largely remained untouched in regards to laws? You could certainly mount an argument that this is the case due to the amount of revenue sports betting agencies make for the government (in tax). Offering online sports betting services to the Australian public is allowed, so long as the sports bookmaker is licensed to operate a land-based business (in a state or territory), and wagering takes place prior to the start of the sport event. In-play betting (considered interactive) cannot be conducted over the Internet, only via telephone. And how about selling tickets online for state and national lotteries? So long as the company (such as OzLotteries) is regulated, this practice is also fine. The world of iGambling has also made its way to the mobile, tablet and Smart TV industries, and real money online gaming technology is in the process of being developed for wearable devices such as Oculus Rift and Apple iGlass. The online and mobile casinos listed in the geo-targeted table at the top of the page are all legal for Australians to access and enjoy their games. The same set of Australian online gambling laws apply within the mobile industry, in terms of advertising and offering real money services, and there are also regulations imposed by specific companies such as Apple and Google (Android) which do not allow real money applications to be advertised through their respective app distributing stores. Having said that, offshore online casinos have tailored their software to suit the mobile and tablet mediums, with full-fledged mobile sites offering high quality games and interfaces, along with secure banking methods and transactions for deposits and withdrawals, and a host of brilliant player promotions and and bonuses. As Australians residents, it is again completely legal to access these mobile casino sites and enjoy AUD gambling on the go. March 20th, 2017 saw significant changes to the existing Interactive Gambling Act 2001, implementing several key amendments of the Interactive Gambling Amendment Bill 2016. Essentially, the law now “will prohibit a person providing regulated interactive gambling services to Australians unless the person holds a licence under the law of an Australian state or territory.” Read our more in-depth break-down of the amendments in our current Aussie casino laws guide. As of the time of writing, offshore online casino sites cannot currently offer their services to Australian residents as they once did before. Whereas these offshore casino venues could offer services to Aussies while being licensed and regulated by advanced gaming jurisdictions also based overseas, the new amendment imposes the requirement of obtaining a valid license from the Australian government to operate and let Australians play and bet real money at their site. This is despite many of the best offshore online casinos adhering to international law from trusted organisations, such as the Malta Gaming Authority and United Kingdom Gambling Commission. It is our opinion many licensed offshore online casino sites will continue to offer their services to Australian real money players despite the new amendments. Australian residents are not penalised or targeted by the revised IGA legislation. If you do play at offshore casino websites, ensure they are licensed by known jurisdictions overseas such as the ones mentioned above, and that you always use a VPN service (Virtual Private Network) to safeguard your online casino activities with additional privacy and security, and to get around potential region-locking of games. Stick with the online casinos recommended on our site and you can rest assured you’re playing at a licensed, reputable venue that legally accepts players from United States. We recommend Bovada Casino for licensed, real money casino games.